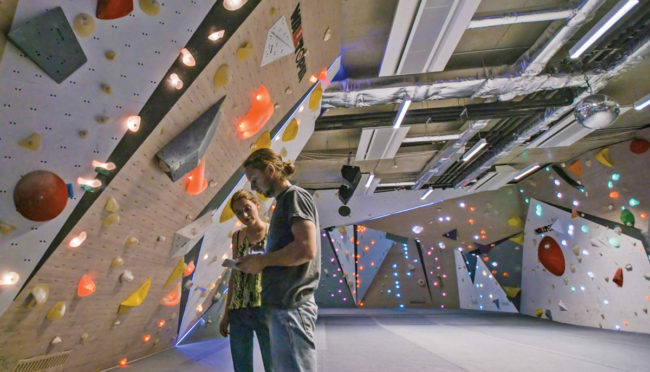 The world is constantly changing, and indoor climbing is no exception. 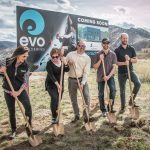 Climbing gym businesses of different shapes and styles face new challenges in a maturing industry, at all stages of the business cycle. 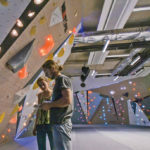 Before opening, a long list of factors could be taken into consideration: size, location, full-service or bouldering-only, overall investment, etc. After opening, one task will always be on the to-do list of a successful climbing gym operator: to provide quality routesetting. 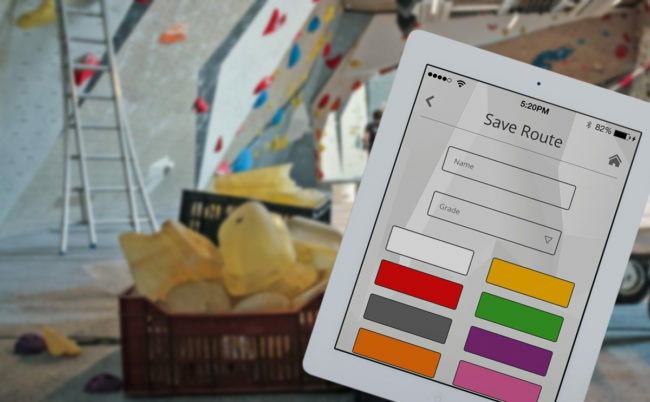 As technological possibilities evolve in the digital world, so too do the opportunities to modernize routesetting at your climbing gym. 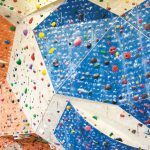 The regular delivery of quality routes at indoor climbing facilities has become essential to effective business strategies as popularity and competitiveness within the industry increase. More new climbers are entering gyms for the first time, requiring a wide range of route offerings which appeal to climbers of all levels. These routes must be updated often enough to maintain high levels of engagement, to keep both beginning visitors and advanced members coming back for more. But how to do so efficiently? This is where the Walltopia Harmonized System steps in, offering a fast and affordable way for climbing gyms to access quality routes. The system consists of pre-designed wall modules equipped with RGB LED nodes, as well as a custom-developed and expertly-engineered software to connect routesetters, climbers and gym managers through an application called “E-Walls.” The Harmonized System simplifies and upgrades routesetting to a more interactive, flexible and digital experience for all three actors. Imagine walking into a climbing gym for the first time. You gaze up at dozens of colored patterns, wondering where to begin. Your options are limited: either bother a staff or gym member for help or wander through the maze of difficulties alone. Not if you enter the climbing gym at Walltopia Headquarters, though, where the Harmonized System is already two years in operation. There you download the E-Walls app to your smart phone and discover all the routes with one click. You filter by grades or explore the latest and most popular climbs. You make a selection and watch the corresponding section of the wall light-up, illuminating the routes. You can also log your climbs and track your progress over time with your newfound community. You easily rate and comment on routes, giving direct feedback to the gym managers and setters which gives you confidence that every session will be better than the last. Imagine managing a climbing gym with increasing membership levels on opposite sides of the experience spectrum, in an increasingly competitive area. You consider your options for maintaining growth rates, recognizing the value of consolidating communication with setters and climbers. Thanks to the manager’s interface of the Harmonized System, you can oversee routesetting and analyze real-time stats and graphs of user preferences and setter performances. Get to know climbers better and set objectives for setters, wherever you are on the globe, through a digital exchange which can set you apart from your rivals. Now imagine running multiple facilities in different locations. Some places might have a better climbers’ scene than others, which poses a challenge when it comes to hiring staff members and quality setters. From an operator’s perspective, you want to maintain a consistent climbing experience for your clientele throughout all your facilities. The Harmonized System helps you do just that, by replicating the best routes that your most experienced setters create throughout all your facilities. Imagine setting for more and more climbers, perhaps even traveling between multiple facilities. You envision the weeks ahead, anticipating the growing exhaustion and shrinking creativity. Your options too are limited: accept the growing pains or seek a remedy. Now, the Harmonized System organizes routesetting for you. You open the digital app and access endless route options for your walls and holds. You store your own routes in an online database for reuse, and you sell top-performing routes to fellow setters around the world. The better your routes perform among climbers, the more people buy and download it for their gym. Remember that V7 you created for the bouldering league 2 years ago? It was downloaded by a gym on the opposite side of the world today and brought in a few extra bucks to your account. 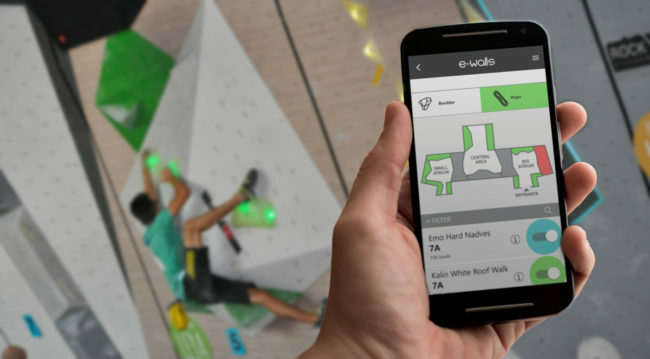 In addition to aiding the management of routesetting at climbing gyms, the Harmonized System was built by Walltopia for climbing events at the highest level. 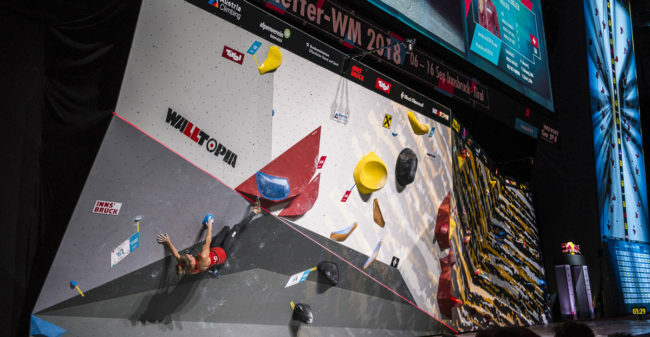 Most recently, the software featured at the IFSC World Championships in Innsbruck last September, supporting world-class routesetters across ten days of nearly nonstop competition climbing. The heavily-anticipated bouldering finals, in particular, incorporated one of the Harmonized modules. 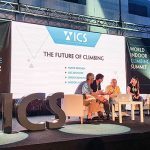 In the near future, event organizers will be able to showcase the same routes in different places, connecting competition climbing circuits worldwide. Тhe goal of the Harmonized System is to unite an eco-system of gym managers, routesetters and climbers, to strengthen the shared community and positive experience for everyone. The unique technology has gone through many iterations in the last five years, since Walltopia first designed the software. 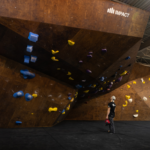 After exploring different wall designs, Walltopia chose a simple concept of large panels, smooth transitions and carefully selected angles to provide an entirely digital and highly relevant platform for setters, climbers and managers alike, a perfect harmony for infinite routesetting. Learn more at Walltopia.com and download the E-Walls app on Google Play or App Store.